The ultimate fan impulse buy It?s finally here: We?re just days away from the season premier of the eighth and final season of Game of Thrones. At this point, you?ve spent the last few weeks shopping for amazing Game of Thrones home decor and buffing up on the show?s architectural inspirations. But the ultimate (and dare we say the best) way to demonstrate your love for one of the best shows ever produced is to own a piece of it. 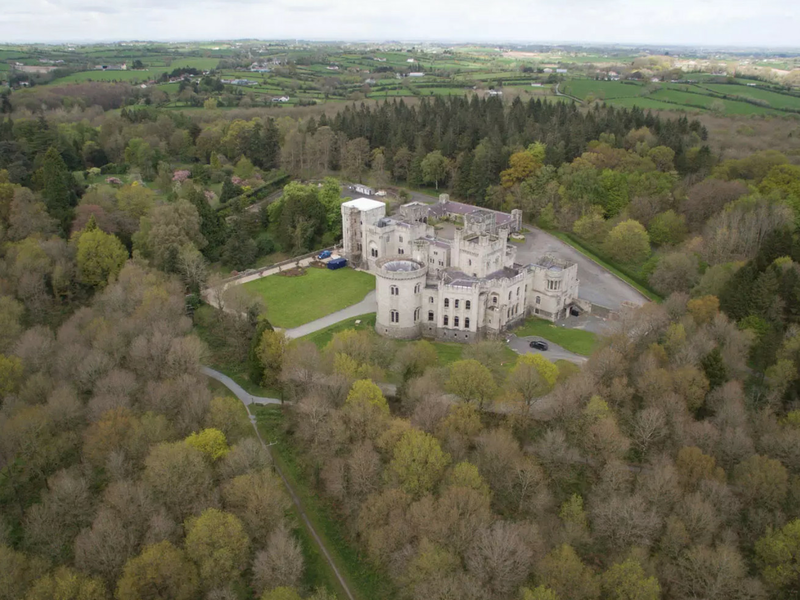 Consider this the ultimate fan swag: Gosford Castle, a storied estate in Northern Ireland that made a memorable cameo on season three of Game of Thrones, is on the market?a substantial portion of it, anyway. You might recognize the stoney estate as the backdrop of the infamous Red Wedding, and the castle was also used for the scene of the execution of Rickard Karstark. But before its 15 minutes of fame, the castle was built by London architect Thomas Hopper in the mid-1800s in the Norman Revival style. The castle was home to the Earls of Gosford until 1921 and served as a prisoner of war camp during World War II. Now, if you can pony up at least £500,000 (or around $650,000), you can purchase a section of the castle, which has been split into six apartments with an average size of 3,500 square feet. In total, the portion of the castle for sale includes 15 bedrooms, 10 bathrooms, and 10 receptions rooms replete with original detailing (but no heat or A/C).